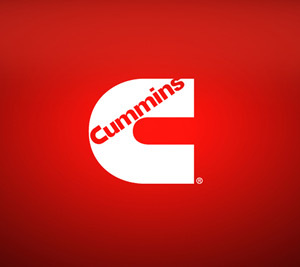 The world renowned Cummins engine has been a longstanding fixture in the heavy duty series of Ram pickup trucks for decades. With its outstanding efficiency, towing capabilities, and quiet operation, the Cummins engine shows no signs of slipping quietly into the night. Expanding into the Nissan truck lineup, Cummins is a force to reckon with. When the time comes to service or repair your Cummins engine, trust the top-rated Sacramento repair shop: Precision Automotive Service. We service and repair all makes and models equipped with any generation of Cummins diesel engine. Cummins diesel repairs are always performed with FCA Original Equipment, Cummins, or approved aftermarket parts and fluids. The diesel experts at Precision Automotive Service are well-versed in Cummins diesel engine repairs. Since 1990, our ASE-Certified technicians have worked on all makes and models equipped with Cummins diesel engines. Whether fuel injection problems or a coolant leak on your Ram 3500, Precision Automotive in Sacramento can handle it with ease. Your Cummins diesel needs specific regular maintenance in order to achieve maximum efficiency and performance. See the experts at Precision Automotive for all your maintenance needs. For all your Cummins diesel engine repairs and maintenance, trust the award-winning professional service at Precision Automotive Service. Click on the online appointment request form or call us now to schedule your next appointment.